The average person doesn’t give insurance fraud a second thought. But the fact is it costs U.S. consumers an estimated $80 to $90 billion per year. In California, it’s a $15 billion-a-year problem. It’s the second largest economic crime in America, exceeded only by tax evasion. 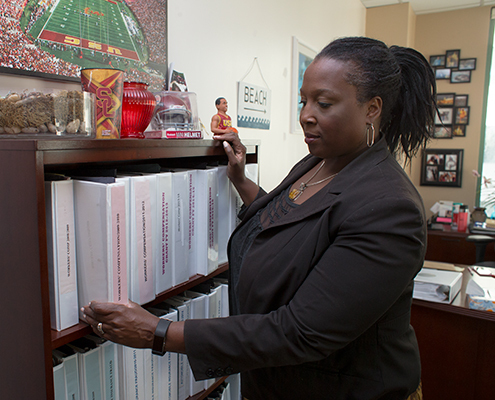 The San Diego County District Attorney’s Office combats this problem by using experienced specialists to confront the insurance fraud epidemic. In 2018, we filed criminal charges against 403 defendants and obtained convictions against 437 defendants (some defendants charged in 2017 did not plead guilty until 2018) and over $5.6 million in restitution was ordered. The insurance fraud business plan is to prevent crime, manage resources, and effectively investigate and prosecute fraud. 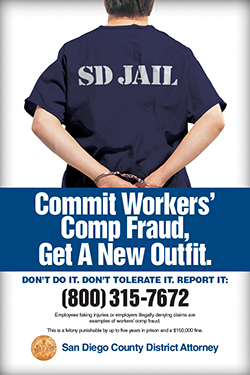 Workers’ compensation fraud consists of provider fraud, premium fraud, uninsured employer fraud, and applicant fraud. This type of fraud involves medical and legal providers committing insurance fraud. 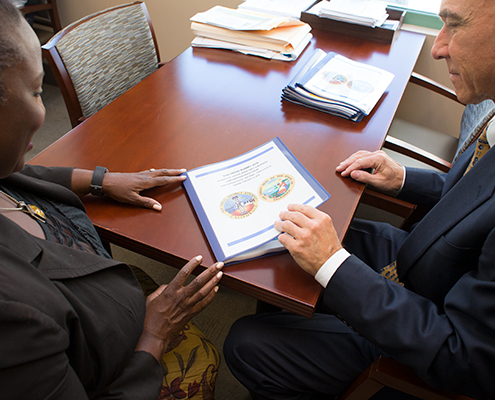 The Insurance Fraud Division has a Medical and Legal Insurance Fraud Task Force – a first-of-its-kind in the nation – combines federal, state and county agencies to work together as a cohesive unit. A significant case includes Operation Backlash, one of the largest workers’ compensation healthcare insurance kickback schemes uncovered in San Diego. About 60 defendants have been charged in these cases, including medical marketers, chiropractors, attorneys and a pharmaceutical representatives in both our Workers’ Compensation and our Healthcare Grants based on the cross-over between the two areas of provider fraud. The on-going cases revolve around kickback payments made in exchange for new patient referrals from several medical clinics. The defendants billed various workers’ compensation companies for urinalysis, medical patches, and creams, without disclosing that the patient was obtained by paying a kickback. In November, Gonzalo Paredes, the office manager for Dr. Ronald Grusd, went to trial in State Court. Paredes was convicted on all 51 counts involving the illegal kickback scheme and is scheduled to be sentenced in 2019. Dr. Grusd has previously been convicted of 40 charges in Federal Court and sentenced to 10 years in federal custody. These charges were the result of an extensive undercover joint effort between the District Attorney, U.S. Attorney, FBI, and Department of Insurance. It is anticipated that this on-going investigation will yield additional charges in 2019. This involves businesses misrepresenting their true payroll to an insurance company in order to purchase workers’ compensation at a lower than proper rate. This cash-based payroll is one of the largest contributors of what’s known as the “underground economy.” In California, the underground economy results in $7 billion in lost revenue each year. According to the Franchise Tax Board, approximately $6.5 billion is lost annually due to income tax evasion in California alone. A significant case involved a defendant who had previously been prosecuted by our Division. James Loper, an unlicensed contractor who was caught in a Contractors State License Board sting operation and who was previously convicted in 2010 of premium fraud, pled guilty to 5 felony counts including not paying payroll taxes, diversion of construction funds and using the personal identifying information of another. In March, 2018, he was sentenced to 8 years in prison. Applicant fraud is when an employee fakes or exaggerates work injuries in order to collect workers’ compensation benefits, or when employers make false statements to deny benefits to injured workers. A significant case involved Matthew Tobolsky, a San Diego Sheriff’s Deputy who claimed a back injury from lifting two five-gallon water bottles at work. His doctor took him off work based on Tobolsky’s representations of being significantly impaired. While off work, he was filmed working out with heavy weights at the gym. Tobolsky pleaded guilty and was sentenced to 180 days in custody and ordered to repay the County over $42,000 in benefits he improperly received. During 2018, our office again partnered with the Contractor’s State License Board, Department of Industrial Relations and the California Department of Insurance to contact various businesses and construction sites throughout the county to verify workers’ compensation insurance compliance. Numerous construction sites and businesses were visited, resulting in warnings, civil penalties, and criminal charges. In 2018, we filed criminal charges against 130 defendants for not having workers’ compensation insurance coverage for their employees. In July 2018, the 505-acre Alpine fire destroyed 34 homes, damaged 15 more and destroyed more than 40 other buildings and structures. Borrowing from our experience during the 2003 and 2007 wildfires in San Diego County, as well as the 2017 Lilac Fire, our division quickly reached out to the Contractor’s State License Board and the Department of Insurance to mobilize our personnel inside the fire affected areas as soon as practical. As always, our goal was to educate and protect homeowners who either lost their homes or who had their property damaged. The team from this joint operation made contact with homeowners and handed out information on how the recovery process works and what scams to look out for. Signs were posted at all intersections, warning unlicensed contractors to stay out of the fire areas and reminding homeowners to always check for the contractor’s license. Our office and the Department of Labor hosted a Wage Theft and Workers’ Compensation Fraud Forum in February at the San Diego County Operations Center which was attended by 200 people including business and community leaders. Auto insurance fraud involves fraudulently obtaining payment from an auto insurance policy based on false information such as inflated or faked damages, staged collisions, false claims of vehicle theft and arson. It also includes agents and brokers engaging in fraudulent insurance activities. These two programs focus exclusively on prosecuting fraudulent claims related to auto insurance fraud. A significant case included “Operation Persistent” which involved a 10-defendant fraud ring that filed and collected on 22 auto insurance accidents that never happened. Abel Ramirez, the lead defendant, recruited friends and family to join him in filing these bogus claims. Ramirez, who also had other pending criminal charges, was sentenced to 13 years and eight months in prison and ordered to pay over $197,000 in restitution. Healthcare fraud unnecessarily increases medical costs for everyone. The Disability and Healthcare Insurance Fraud Program investigates and prosecutes fraudulent medical and disability claims and policies, including medical providers who fraudulently bill insurance companies. Henry Chan, a Pharmacist in Charge at a local San Diego Hospital, diverted over 14,000 hydrocodone tablets by manipulating internal logs and forging other pharmacists’ signatures. Video surveillance showed him stealing boxes of the controlled substance, including one morning when he was scheduled to be on vacation. When interviewed, Chan admitted he had been diverting for personal use for three years. He pleaded guilty to grand theft by employee and identity theft after completing a residential drug program. He was sentenced to three years of probation, 200 hours volunteer work speaking to addicts about his experience, $13,425 in restitution to the hospital, and compliance with all Board of Pharmacy conditions. The Life and Annuity Consumer Protection Program investigates and prosecutes unscrupulous life insurance agents and others who seek to steal the savings of victims through power-of-attorney abuse, securities fraud, and fraudulent claims on legitimate policies. These scams often target senior citizens. The effect is profound and life altering, since seniors do not have the time or opportunity for financial recovery. Our program is committed to working diligently to protect senior citizens and their finances from those who would do them harm. A significant case from last year was the prosecution of Shawn Heffernan who solicited over $1 million in funds from clients which were supposed to be invested but instead they were used for personal expenses. In March 2018, he was sentenced to 9 years in prison and, after a restitution hearing, was ordered to repay his victims over $1.4 million. This case is still on-going as 3 properties, seized at the outset of the case, are now held by a receiver who is in the process of collecting proceeds to be used for restitution. RATT Investigates and prosecutes professional auto thieves. RATT is a model of cooperation as peace officers from the following departments work in conjunction with one another: District Attorney’s Office, California Highway Patrol, San Diego Sheriff’s Department, San Diego Probation Department, California Department of Insurance, National Insurance Crime Bureau, and Chula Vista, La Mesa, El Cajon, Escondido, Carlsbad, National City, and Oceanside Police Departments. Last year this teamwork led to charges against 45 defendants. More than $500,000 in restitution was ordered to be paid back to victims.